Show your Valentine(s) you love them with sweetheart-shaped sandwiches, perfect for breakfast, lunch or dinner! 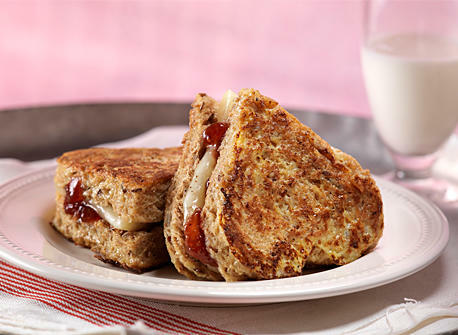 The creamy Canadian Havarti cheese provides a tangy contrast to the sweet berry jam while the egg- and milk-dip makes for a perfectly delicious, golden coating. In a shallow dish, whisk eggs until blended; whisk in sugar, milk and vanilla. Using a 3½ inch (9 cm) heart-shaped cookie cutter or a small serrated knife, cut bread into hearts (reserve trimmings for another use). Cut cheese slices into the same size hearts. Spread one side of each heart with jam, dividing equally. Place two slices of cheese on four of the hearts, adding cheese trimmings on top. Top with remaining bread hearts with the jam side down. Dip sandwiches into egg mixture, turning to coat and soak bread well. Discard any excess egg mixture. Heat a large nonstick skillet or electric griddle over medium heat. Brush with a thin layer of the butter. 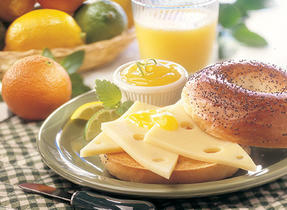 Cook sandwiches, in batches as necessary, for 2 to 3 min on each side, turning once, until browned and cheese is melted. Brush the pan with more butter between batches as necessary. Use a panini maker, electric sandwich press or indoor contact grill to cook sandwiches. 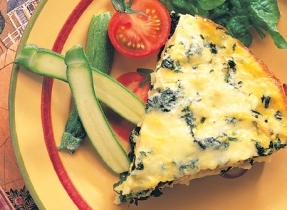 Use leftover bread cuttings to make a fabulous breakfast bread pudding for tomorrow. For a spicy flavour, replace berry jam with hot pepper jelly and/or use a Canadian Havarti with hot peppers. 124 people love this recipe.